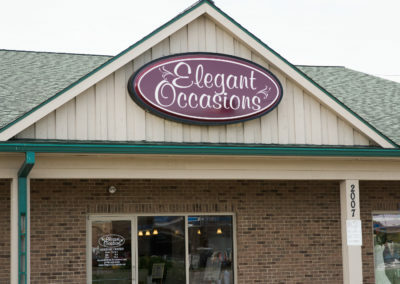 The Lower Level at Elegant Occasions! 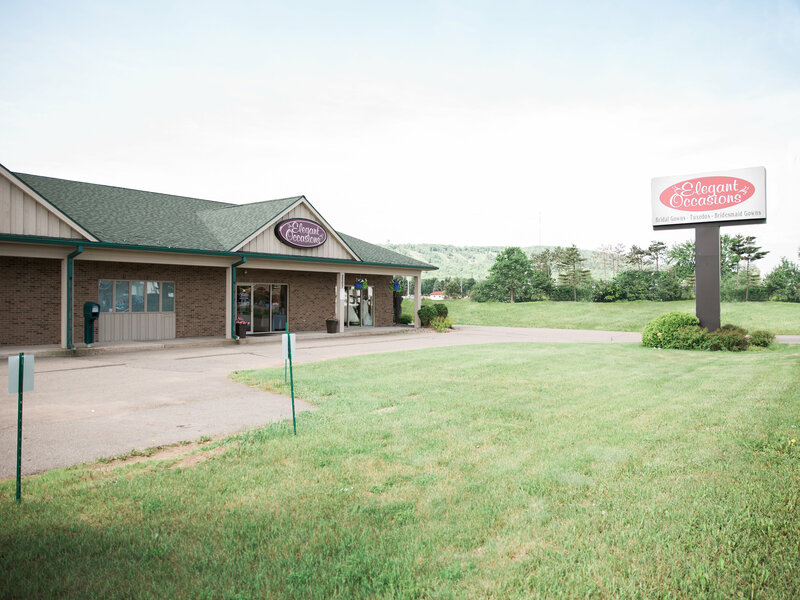 Consignment and High School Formal Center. 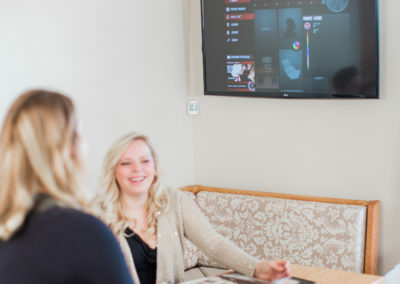 We prepare on purpose so you can have an experience as amazing as you deserve! 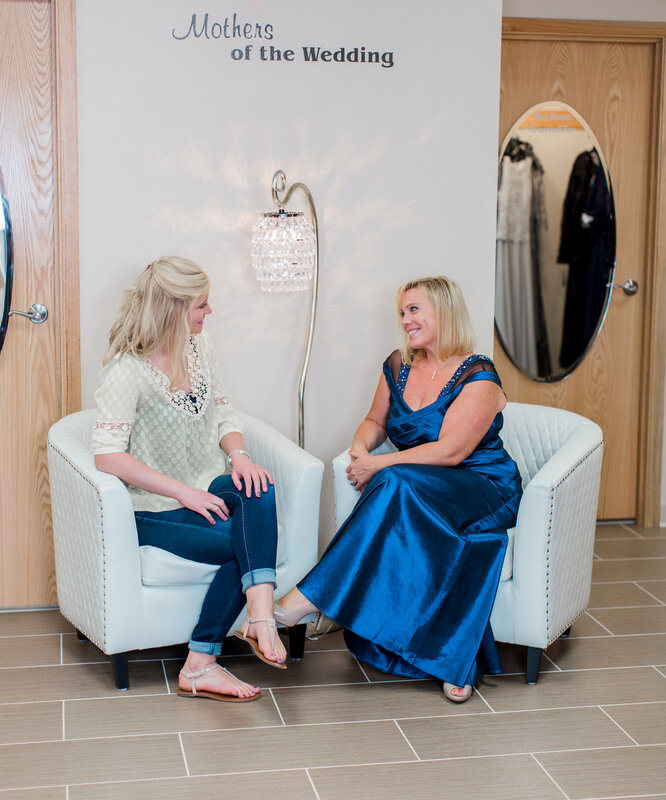 Make your appointment to experience the privacy and comfort of our private bridal suites and dedicated stylists today! 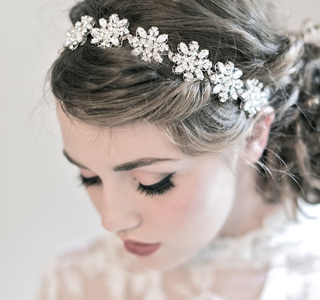 Our Simply Elegant bridal line that we have created for 2nd time brides, park weddings, destination weddings, etc. 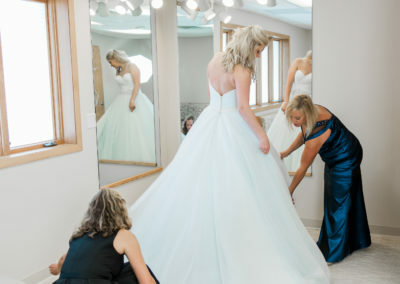 Gowns are $300 or less. 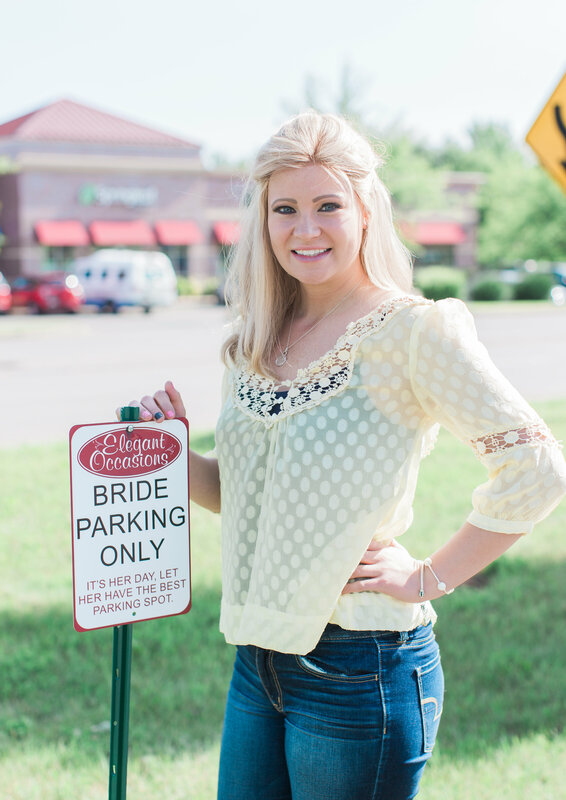 Special Reserved Parking for Brides! 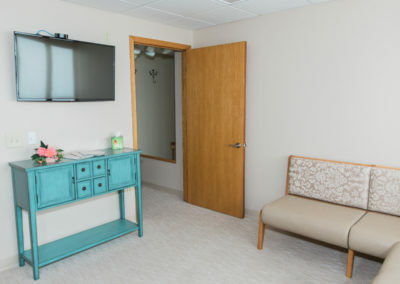 Great Selection and Great Space! Build-a-Tux Technology in use. 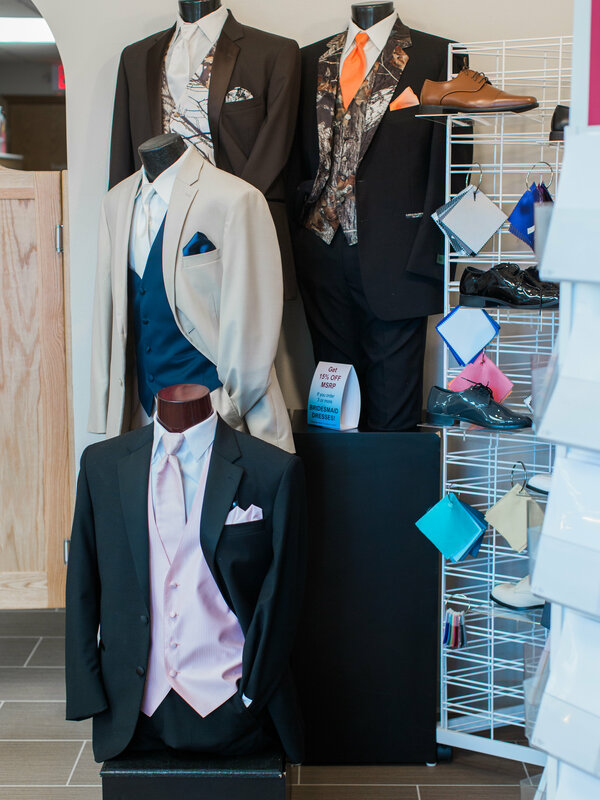 We can put together a look for the groom within seconds! 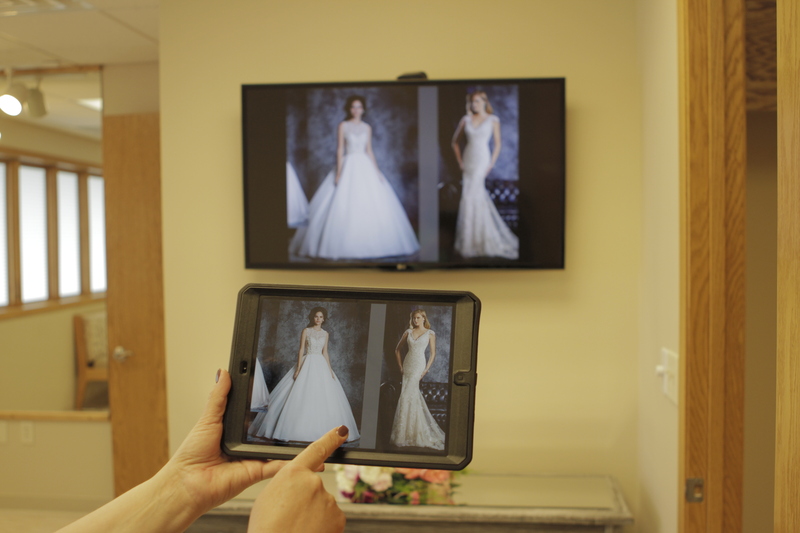 Our iPad Technology that brides use to view and select the gowns they want to try on. 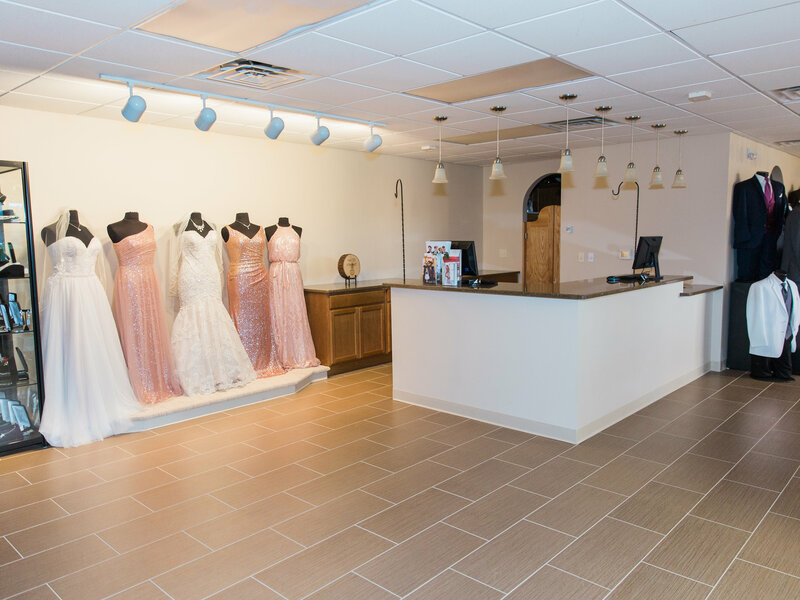 At our store, you can stop in 7 days a week and plan your wedding. 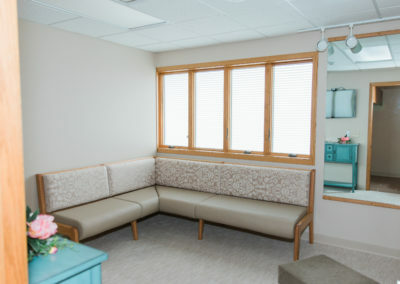 our foyer area also features a custom invitation business. 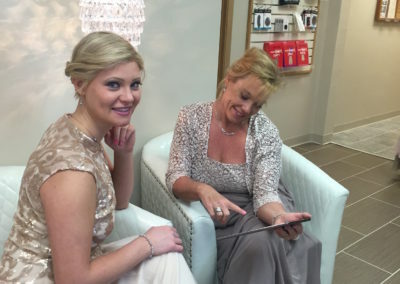 Our dedicated and accredited bridal consultant staff is here to help. 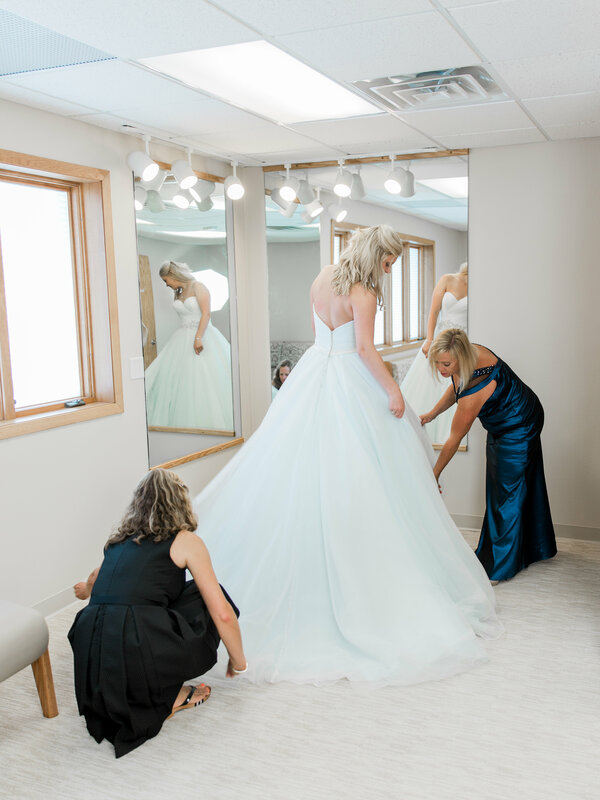 With over 250 bridal gowns in stock in all sizes, 2500 bridesmaid and special occasion gowns, over 100 tuxedo styles to choose from, as well as veils, headpieces, tiaras, jewelry, shoes, and more, we want to make sure your day is everything you have dreamt it to be. 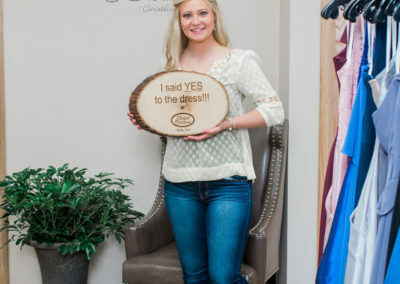 Our collection of gowns include sizes 34 down to 4 so you will be able to try on gowns that fit! 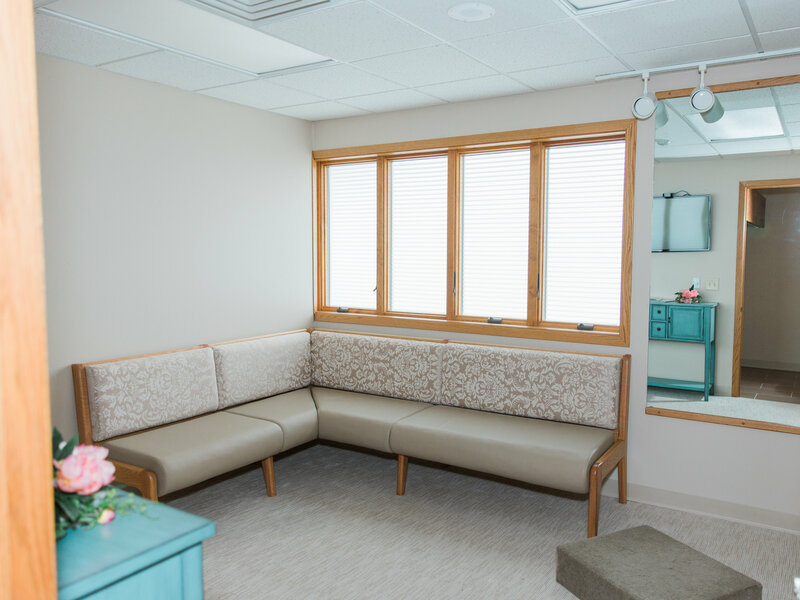 Enjoy the luxury of a hot towel experience when your bridal appointment begins when you reserve our private bridal suites. 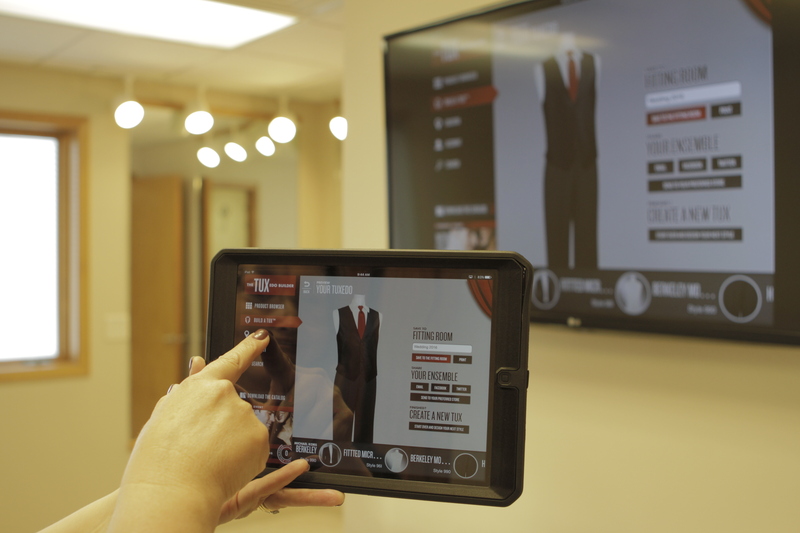 Try out our technology to see your virtual groom already dressed in his tuxedo, or preview all of our in-stock gowns to make your selections. 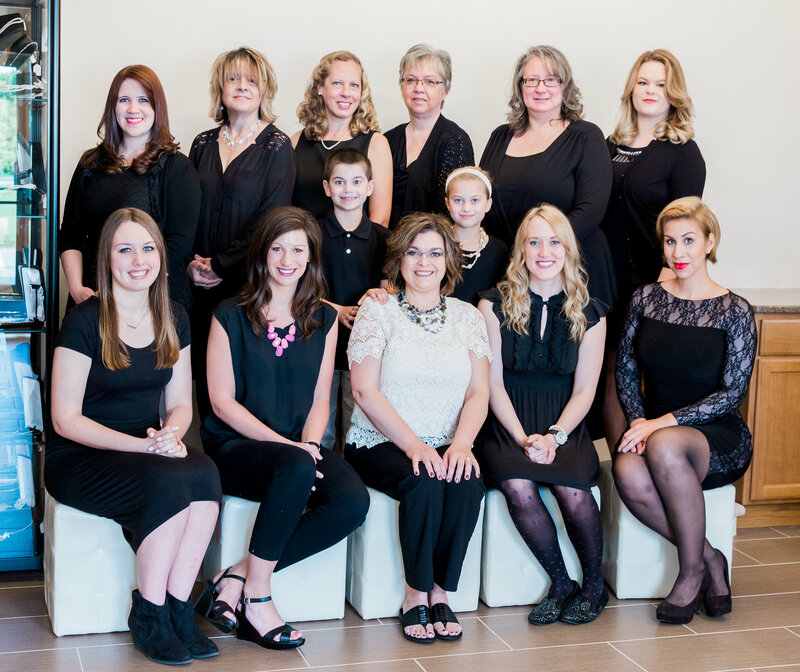 We look forward to helping you with all of your details! 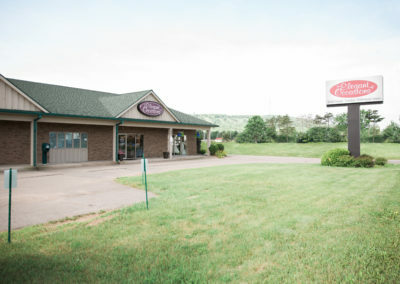 Come and see us – right next to the new Hilton Garden Inn, across from IHOP in Rib Mountain! 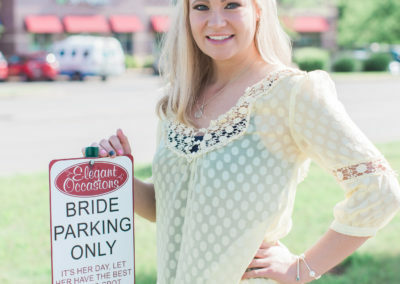 The Area’s Largest and Most Exciting Bridal Show is Coming Up! Sunday October 13, 2019! Visit our Formalwear Consignment and Clearance Center! 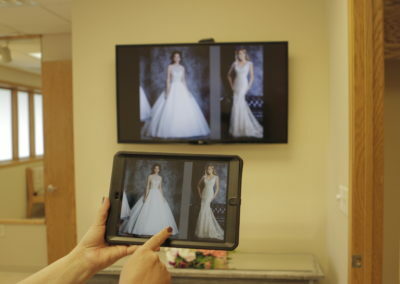 ~Do you have a passion for weddings and a desire to help brides and grooms have an amazing look on their wedding day? ~Are you organized and helpful and know how to prepare? 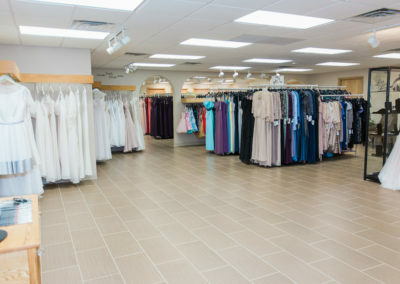 ~Do you have excellent customer service and follow-through abilities? 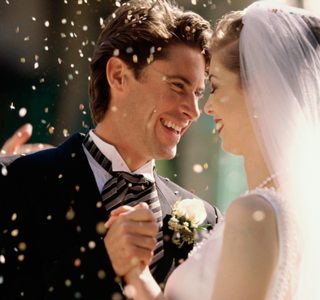 Our in-stock bridal gowns range in size from 4-34, with prices from $999-$2500. 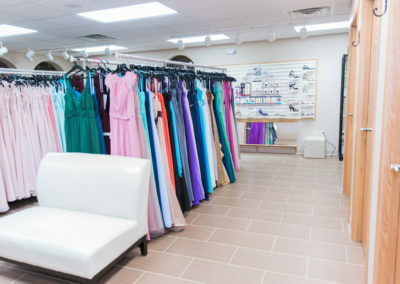 Gowns can be bought directly from our collection, or ordered. Please be prepared for special ordered gowns to take 4-7 months to arrive. Payment plans are available. 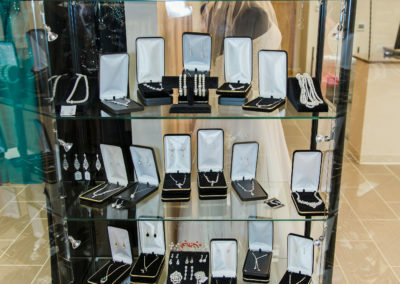 For the best experience at Elegant Occasions, please make an appointment with our accredited bridal consultants. 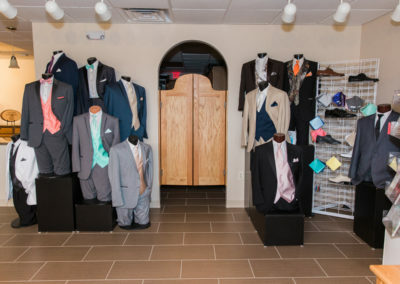 With over 100 styles to choose from, our tuxedos provide the variety both in style and price that you are looking for! Prices start around $150. We recommend ordering 2 months in advance; although it is not required! 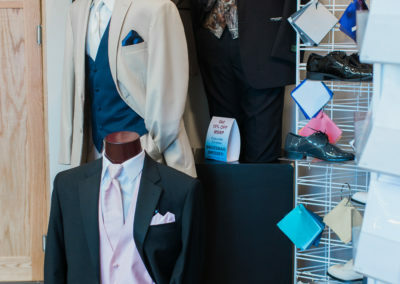 Our tuxedos are $40 OFF msrp, plus you get the groom’s tux free, as well as $99.95 tuxedos for the little guy in your wedding (to qualified orders). 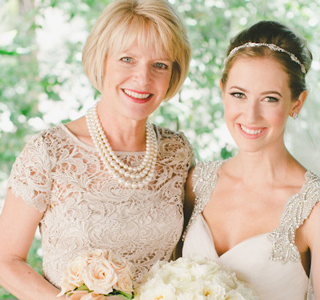 It’s the most special day in Mom’s life too! 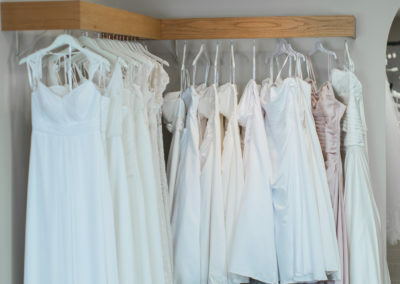 We have a lovely selection of gowns for Mothers-of-the-Wedding! 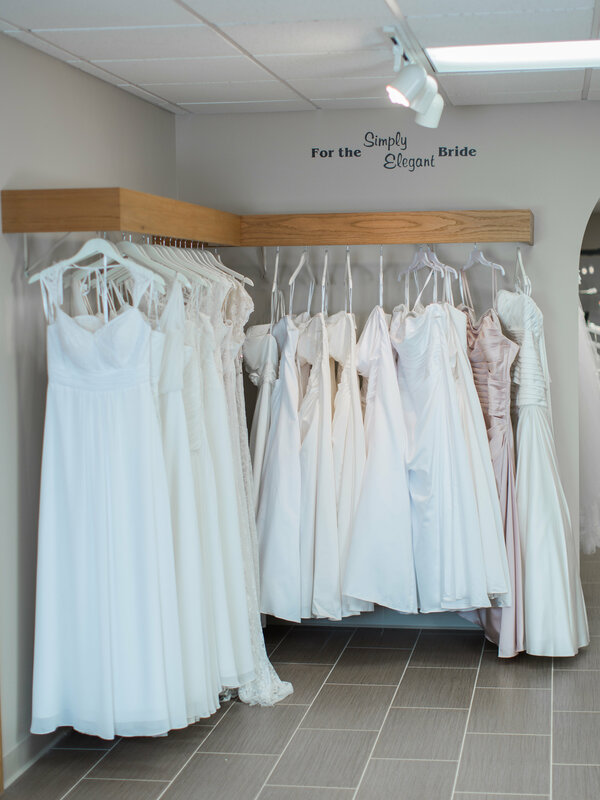 With over 100 different looks to choose from, our gowns are mostly under $250. They are available to purchase directly from our collection. 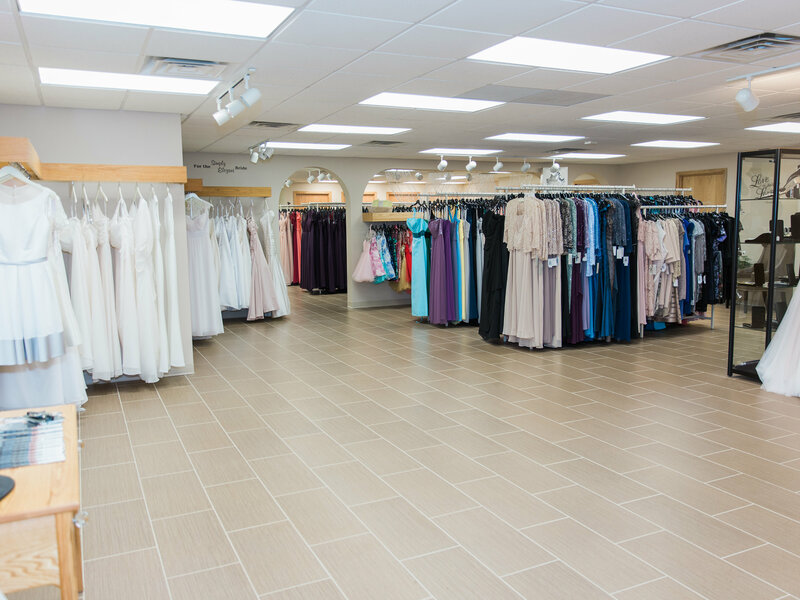 New styles arrive regularly, so check back if we don’t have what you are looking for today! Choose your service level, and choose your discount! 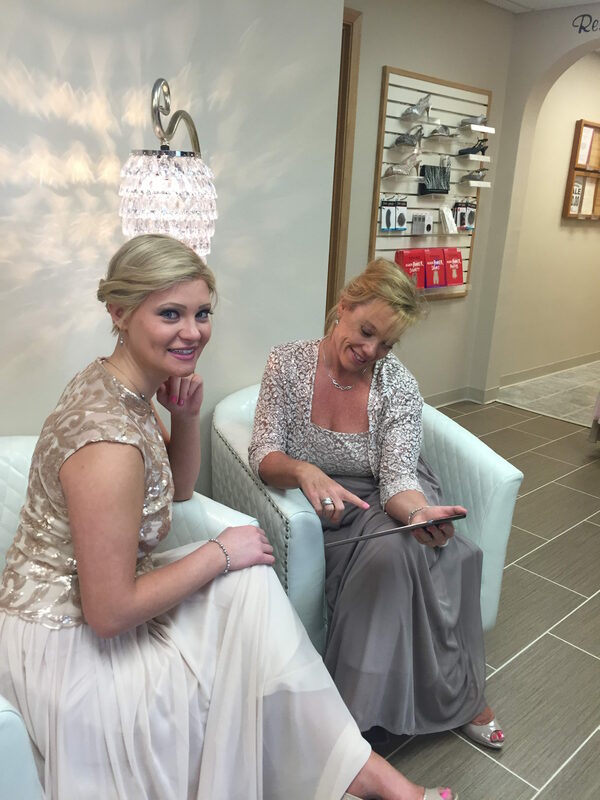 We offer up to 15% off your bridesmaid order of 3 or more of the same gown! In stock sizes are typically from 6-30. 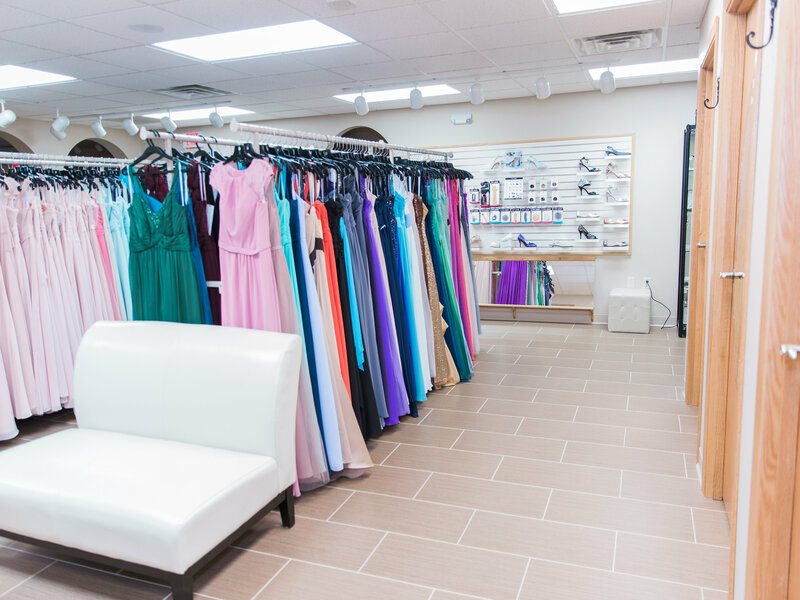 From short to long, and ball gown to straight skirt, we’ve got all the latest prom gowns available for you! We recommend purchasing early for best selection!! 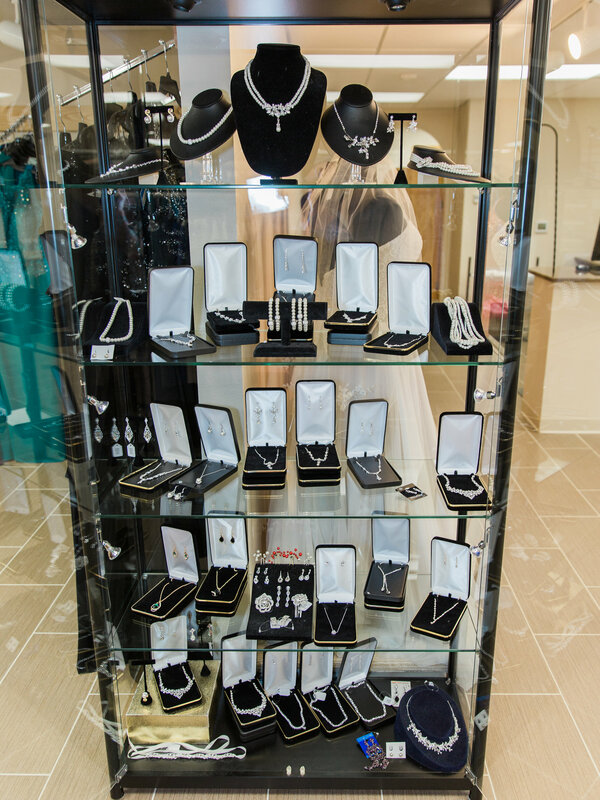 Headpieces and Veils, Shoes and Undergarments, Jewelry and MORE are now available at our store! We sell all items off the rack, or you can order if you prefer. 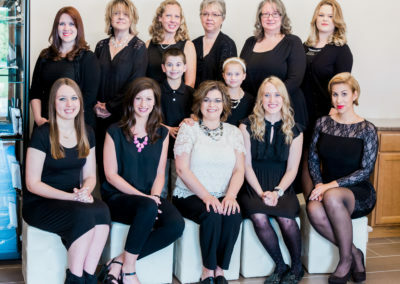 We staff based on appointments and highly recommend them! 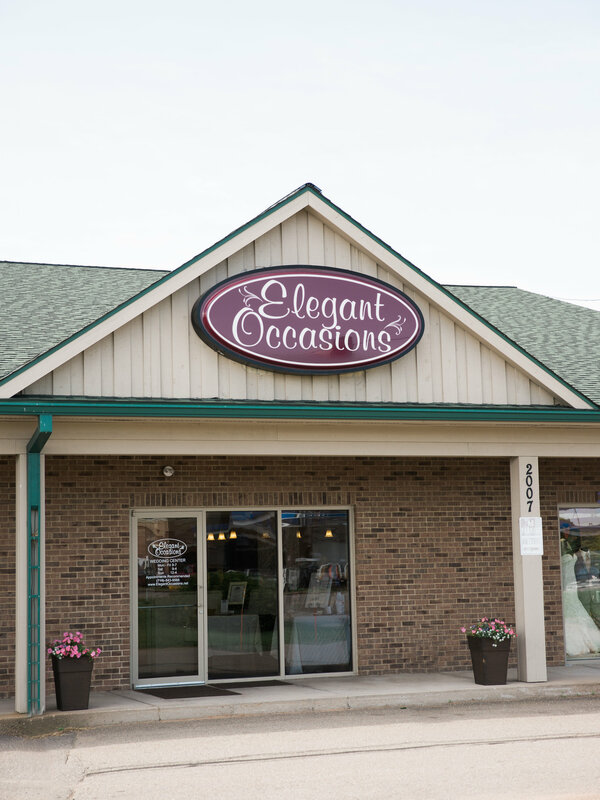 Plan your entire wedding at Elegant Occasions! 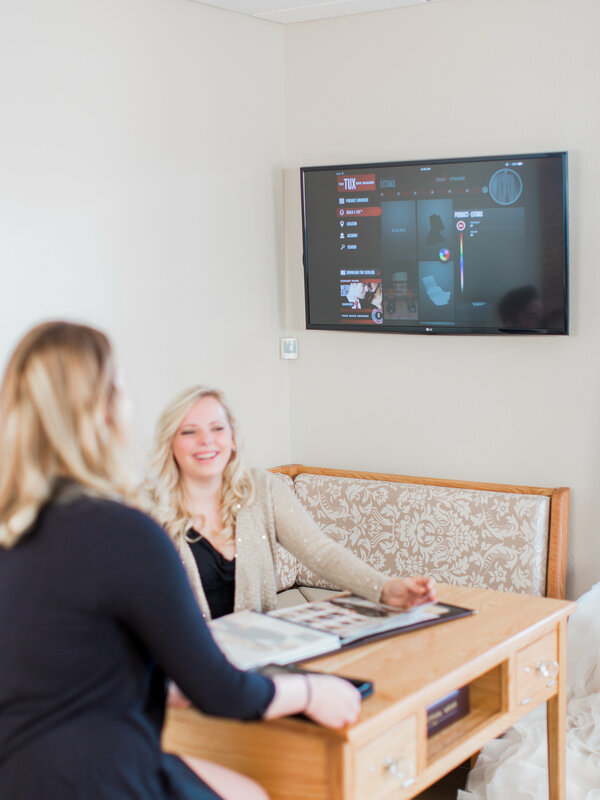 Check out what recent customers are saying about us!